Green | The News Pays Its Dues! …in wind power production. For this honor, the USA has only to give thanks to nature and human resourcefulness. Nature has gifted the USA with much stronger winds than Germany. Hence… all the hot air! Why? Because we have more politicians, that’s why! Aren’t you paying attention? Do I have to use CRAYONS here? Argh! Apparently, somebody at the American Wind Energy Association (probably in the mail room), said that in the US, wind energy capacity is growing faster than anyplace else. I can only assume it’s because this “expert” gets first crack at all the donation solicitations being sent from Washington DC. But if we try to view those stats differently, Germany harnesses seven percent of their power from wind and Denmark generates twenty percent of power from wind. Strangely enough… Wind energy only constitutes 1.2% of total power consumption in America. The American Wind Energy Association also estimates that by the end of the year 2012, some 7,500MW of wind energy will be brought online in America. Why? Because it’s the next “Election year…” duh! There will be enough hot air floating around to make the warm Santana Winds that sweep in off the desert look like a defective hairdryer! And due to the economy taking more tumbles than Mary Lou Retton, layoffs will be at an alltime high. This will lead to more consumption of that blessed brew (and we ain’t talking “mountain grown Folgers,” either!) and the creation of even more warm expelled gases. Though the wind industry, “strengthened” (now there’s a laugh) by the Stimulus Bill, will try to absorb the shock of all this “wind…” once gain, the ultimate brunt will be borne by the American consumer. So, buy your gas masks while you can! We have them in several designer colors, and one size fits all! Don’t delay! Act Now! Limit of three to a customer! We accept Gold, Silver, and “favors…” But none of that “devalued green folding stuff.” That sh@t is worthless! Not even the Europeans will take it! Obama wants to double U.S. alternative energy output over three years. And you know what THAT means… Experts are already saying that because of the Stimulus Bill, American Government will have to increase in size, just to support it! Talk about “Hot Air!” I just hope it doesn’t blow us out of orbit! It’s clear that the Congress must put clean energy solutions into its top agenda because the unemployment rate is already at a 20-year high and the economy needs a push in the right direction (and we’re not talking about “pants propulsion” here, folks!). Wind power projects can generate jobs and at the same time they can reduce America’s dependence on foreign sources of power generation. As long as we don’t run out of bottle openers, beer taps, or band-aids for those pesky “twist off cap” injuries! Now the ball is in the legislatures’ court. Get your Congressman to expel some of that hot air for a worthy cause! You can make a difference! I was reading the Atlanta Business Chronicle the other day, looking for news of the Russians facing off with the Falcons or the Braves… After all, it’s been a day or so since they invaded Georgia, right? Ever wonder what supermarkets do with those brown bananas or apples that have one too many bruises? In the case of Publix, it will be recycled and turned into a high-power fertilizer. The supermarket chain has partnered with Organic Recovery LLC, which debuted its first facility on Thursday in Pompano Beach, Fla. The partnership works like this: Publix pays Organic Recovery to pick up the fruits, veggies, meats and bakery products that otherwise might end up in the dumpster. Organic Recovery turns it into liquid fertilizer, which is purchased by golf courses, homeowner associations and, eventually, individual homeowners. The partnership is expected to increase Publix’s recycling rate by 25 to 30 percent in 33 stores. 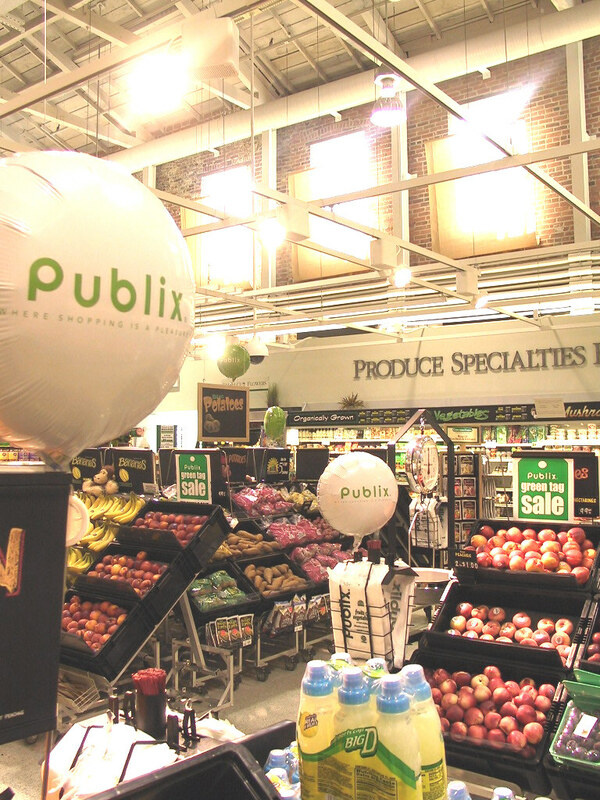 Organic Recovery’s goal is to serve all 84 Publix stores in Broward County by summer’s end. 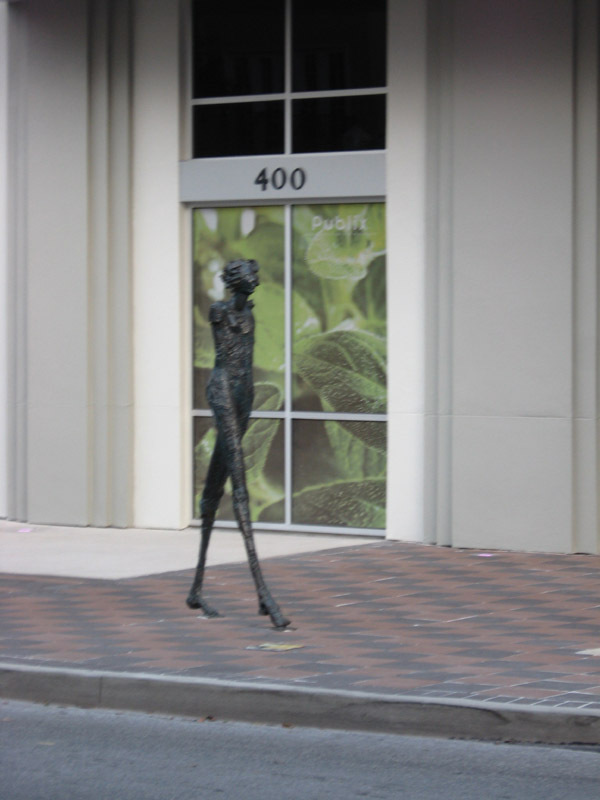 Organic Recovery is planning two additional facilities in Lakeland, Fla., and Atlanta. 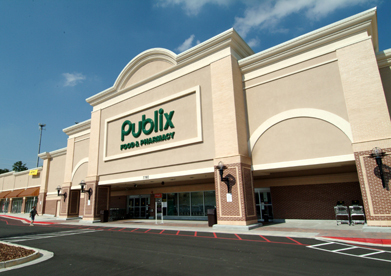 Lakeland-based Publix has 932 stores in Florida, Georgia, South Carolina, Alabama and Tennessee, including 140 stores in metro Atlanta. They could have accomplished the same exact results (for free), by allowing local gardeners to come get the old produce and organics, for use as composting material, in each and every neighborhood that Publix co-exists in. I gotta go now, my wife says I need to… say it with me… take out the garbage… LOL!